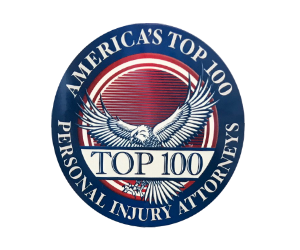 In most tort cases, an injured party is not permitted to just sit back and do nothing to improve his or her own condition following an injury. As Chicago medical malpractice lawyers, we know that the same is true in medical malpractice cases. A patient who is injured as the result of the negligence of a professional healthcare provider has an obligation to take reasonable steps to minimize his damages. He will not be entitled to recover for any damages that could have been avoided by reasonable care. The doctrine of mitigating damages, also called the doctrine of avoidable consequences, generally does not preclude all recovery. Instead, it usually prevents the recovery of any post-malpractice damages that could have been avoided by the reasonable efforts of the injured patient. However, in some circumstances, recovery will be completely barred to a patient whose entire injury could have been avoided if he or she had exercised reasonable care after the physician’s negligence. So how far does an injured patient have to go in trying to improve his condition? He is not required to make extraordinary or impractical efforts. His obligation is to undertake those efforts that would be pursued by a man or woman of ordinary prudence under the same or similar circumstances. The expense and inconvenience of the mitigating treatment are proper considerations in deciding whether or not to undergo a treatment to improve a condition resulting from a physician’s negligence. A medical malpractice plaintiff is not required to undergo a serious or dangerous operation or treatment to try to improve his own condition after a physician’s negligence if the outcome is uncertain or if there is a reasonable probability that he can achieve a cure without the surgery or treatment. A mother’s refusal to abort a fetus injured by a negligent healthcare provider is not considered a failure to mitigate damages, nor is a refusal to give that child up for adoption.